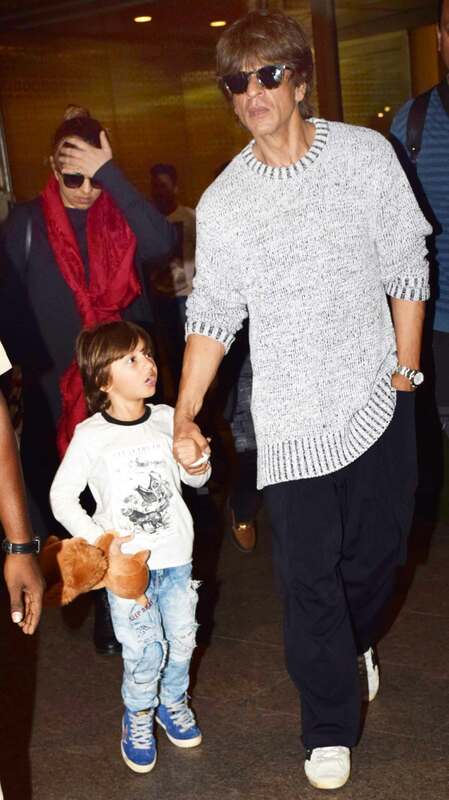 Little AbRam was carrying a soft toy with him throughout as he held daddy Shah Rukh and walked. He, however, seemed disturbed by the flashes. The father-son duo enjoyed their mini-vacation in the Alps. The superstar shared the pictures on social media. Shah Rukh Khan and Gauri have been married since 1992. 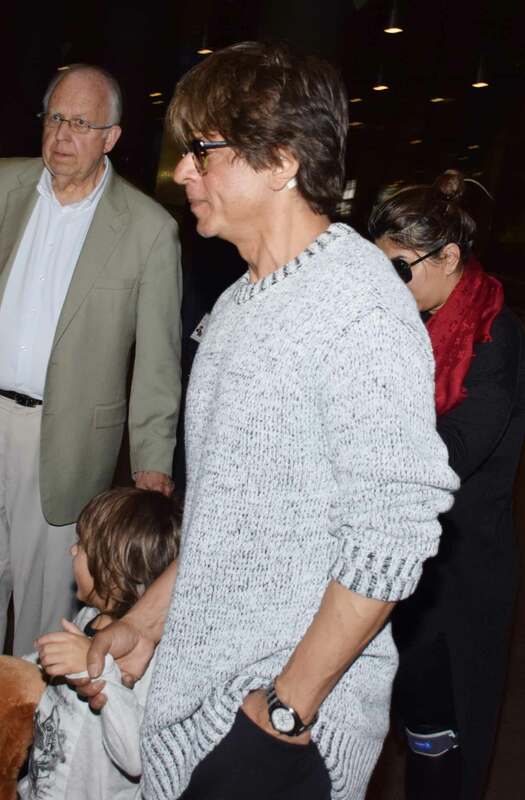 Apart from AbRam, the couple are parents to son Aryan and daughter Suhana. Aryan studies films in California while Suhana is finishing school. AbRam studies in Mumbai. Shah Rukh Khan took a small break from his shoot to spend time with AbRam. On the work front, Shah Rukh is currently occupied with the work of his upcoming film 'Zero'. The film is directed by Anand L Rai and also features Katrina Kaif and Anushka Sharma.Zero, directed by Aanand L Rai, will feature him as a dwarf. The film also stars Katrina Kaif and Anushka Sharma. Zero will be released this December.